TDmonthly® - New Toys and Games: Illuminated Model Tiger from PUZZLED, INC. 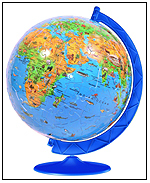 The 3D wooden toy features standard woodcraft construction with an added color laminate. Over 21 styles are available, including a giraffe and a dragon. Launch date: February 2008.